REQUIREMENTS: Bachelor’s in communication, plus 2 years experience as Brand Communication Specialist for luxury retailers required. JOB DUTIES: Formulate PR plans, communication strategies. Enhance company’s voice through online, social Media, traditional channels. Experience with SEO channels, managing large B2C social communities required. Responsible for blog, social media posts. Plan, manage brand events, promotional campaigns. Manage PR crisis. Lead survey, analyze public data on brand impact. REQUIREMENTS: Master’s degree in Communications, Public Relations or related field or foreign equivalency and 1 year of experience in the job or 1 year of experience as a Corporate Communication Manager, Communications and Public Relations Manager or in a related occupation. JOB DUTIES: Develop and manage the execution of product publicity through pre-launch, launch, and post-launch phases. Draft, present, and maintain detailed PR plan documents. Incorporate social media influencers and social media activity deeply into PR plans and activities. Grow the regional database of influencers across all relevant social media channels. Conduct correspondence and ongoing relationship-building efforts with press. Arrange and conduct press tours to promote Blizzard Entertainment’s games. Interview developers to gather data and write articles and news blurbs for the website. 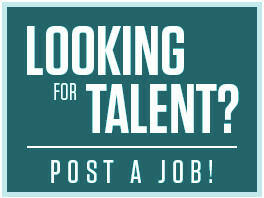 CONTACT: Please send resume ref#15167 to E. Xu for an appointment.